I’m back with another treat, Lovelies! This lotion is so great for foot massages. 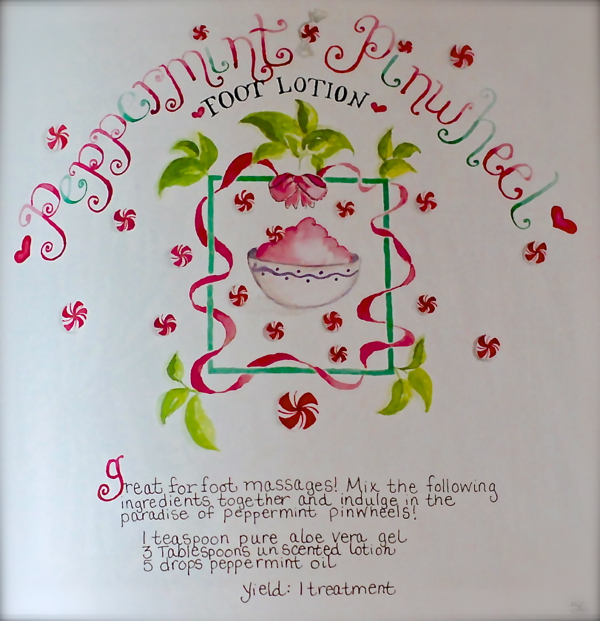 Mix the following ingredients together in a small bowl and use as foot massage lotion or as a invigorating rub for tired feet at the end of a hard work day. Little jars of this make sweet party favors for a Girlfriends’ spa party. Simply tie a red and white ribbon around the lid and indulge in the scent of peppermint pinwheel candy whenever you like! Love the things I’ve seen so far can’t wait to see more! !